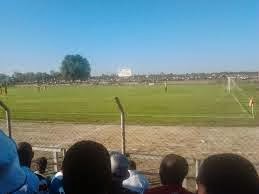 Castle Premiership side Chapungu have mooted plans to partner Gweru City Council in upgrading the club�s home ground, Ascot Stadium to Fifa standards. Ascot among other facilities does not have a media booth which makes it impossible for SuperSport to broadcast live from the stadium; hence an upgrade would give the venue a welcomed face lift that enables it to host Premier League matches. The venue�s ablution facilities, VIP stands and terraces are in a sorry state; hence the urgency. Speaking in Gweru, air Force of Zimbabwe Wing Commander Levine Mukotekwa, who is the Chapungu CEO, said his club was committed to the project. �We are ready to partner Gweru City Council to upgrade Ascot stadium,� Mukotekwa said. He said his club�s stance will not be altered by relegation fears, although Waru Waru remains unsafe despite Sunday�s win over Black Rhinos. Currently, the Gweru-based side are on ninth place on the log with 37 points and face Highlanders in their last match of the season. �We are not abandoning the development of Ascot Stadium. This is regardless of whether we stay in the league or relegated,� the Chapungu boss said. The club�s plans have been stalled by Gweru City Council�s approval of stadium construction plan. �It is now left to the City council to approve our plans because it is their property. They have not yet approved our plan,� Mukotekwa said.